Why did God give David all of Saul’s wives? Q. Why did God give David all of Saul’s wives and break his own law that said Israel’s king “must not take many wives“? I think this should be of concern to us, although not primarily for the reason that you give. While the law you cite does appear, on the face of it, to prohibit Israel’s kings from marrying multiple wives, the intention of that law is to forbid marriage alliances with the surrounding pagan countries, as the justification for the law makes clear: “or his heart will be led astray.” It was understood that a women who went to a foreign country for a marriage alliance would still be allowed to worship her own gods, and if her husband really wanted to please his father-in-law (who might be a more powerful king), he might join in this worship. I think we can safely assume that if an Israelite king had married multiple wives who had all been faithful followers of the God of Israel, his heart would not have been “led astray,” and so the spirit, at least, of the commandment in Deuteronomy would not have been broken. However, as I said, God giving Saul’s wives to David raises other concerns. It would appear that Saul had something of a royal harem (though certainly nowhere near as large as Solomon’s), and that David was allowed to make this harem his own when he became king. (This is the only place in the story of David where this is mentioned, so we have to infer the details.) Ordinarily the harem would never come to belong to the next king because sons succeeded their fathers on the throne and there was a prohibition in the law of Moses against a father and son marrying the same woman. But since David was starting a new dynasty, i.e. he was not the son of Saul, it was legal for him to make these women, who had become widows upon Saul’s death, his wives. However, we might observe that even if David’s primary motive was not to love and care for Saul’s widows, because he married them, they were cared for in a way that they probably would not have been otherwise. One of the realities of the story of redemption in the Old Testament is that it unfolds within a cultural context in which women are dependent on men for support, and many arrangements have to be understood in that light. We also see in the biblical story that well after David came to the throne, there was still sentiment in various parts of Israel to restore the house of Saul, and these women might actually have been in danger from partisans of David who wanted to quell that sentiment. Much of this is speculative, but I believe it helps explain why God might have allowed David to take over Saul’s harem. In other words, because David tried to get away secretly with sleeping with another man’s wife, someone else will sleep with his wives openly. It seems that it’s actually David’s wives who suffer this punishment, not David himself. The women ultimately affected were ten concubines whom David left behind to “take care of the palace” when he fled for his life from a rebellion launched by his son Absalom. Upon being advised that this would consolidate his claim on the throne, Absalom slept with these women; once he was defeated and killed and David returned, David put them in seclusion. They were provided for and protected, but “they lived as if they were widows,” no longer his wives. So we may at least say that there is a development within redemptive history away from corporate or family punishments toward individual punishments, which seem to us to be much more in keeping with the just character of God. Nevertheless we still feel very badly for, and have continuing concerns about, those who lived in the time before this development, such as David’s ten concubines. Perhaps the most we can say about their situations is to realize that our sins inevitably do affect those around us, and they affect most the people who are closest to us. Whether this is the result of direct divine judgment, or the result of the way God set up the moral universe, the harm we will do to those we love the most if we choose to sin is one more reason for us to turn away from that wrong choice and instead follow a course of action that will bring help and blessing to all those around us. Author Christopher R SmithPosted on July 22, 2017 January 20, 2018 Categories Justice/Fairness of God5 Comments on Why did God give David all of Saul’s wives? Was Dietrich Bonhoeffer justified in joining the plot to kill Hitler? Q. I just finished reading Bonhoeffer: Pastor, Martyr, Prophet, Spy by Eric Metaxas. It is an outstanding book about an inspiring Christian (with fascinating history to boot). The author describes—often in Bonhoeffer’s own words—how he came to believe that, as a Christian, it was his duty to do anything possible to stop Hitler, including killing him. It seems to me that this is a very slippery slope. Bonhoeffer, for instance, also thought that abortion was murder. I wonder, therefore, if he would have approved of killing abortion providers. What biblical basis is there for humans intentionally taking the life of another human (even capital punishment)? I, too, have read this book by Metaxas, and like you I found it fascinating, informative, and challenging. I had my own questions and concerns about Bonhoeffer’s decision to join the plot to kill Hitler, even after listening to him make the case in his own words. My first concern was just like yours—this is a very slippery slope. Even if we decide that somehow, under extreme and very extraordinary circumstances, Bonhoeffer was justified, this could open the door for others to conclude that they, too, might be justified in killing someone, in circumstances that are actually nowhere near to being as extraordinary as Bonhoeffer’s. So it’s very important that we appreciate the context of his decision. The book does a superb job situating it in its historical context; let me try briefly here to review the biblical-theological context, as I understand it (not that this is absent from the book, either). We need to recognize that Bonhoeffer’s deliberations came within the centuries-old tradition of reflection within Christianity about whether there can be such a thing as a “just war.” (The other longstanding and respected tradition in Christian theology is pacifism.) Among those who believe that there could be a just war, almost all agree that the war to defeat Hitler was one. It was a defensive war of self-protection against an unprovoked aggressor who had attacked peaceful countries and was oppressing their conquered populations, including systematically committing genocide against millions. So Bonhoeffer and his fellow plotters, many of whom were senior German military officers, saw themselves as joining the justified side in a just war. Given this, the question then arose as to whether assassination was ever an appropriate tactic within a just war. It could be that in most cases of a just war (assuming there is such a thing), assassination would still not be valid. But in this case, Bonhoeffer concluded, it was a means proportionate to the desired end that would not have wider unacceptable consequences. (These are some of the tests that are applied to means within just war theory.) This was true even though the plotters recognized that some of Hitler’s senior staff might be killed along with him; the person who delivered the bomb in a briefcase was prepared to die himself in the process if necessary. And this leads us into the second part of the biblical-theological context for the decision: Bonhoeffer’s own theory of ethics. Part of this theory held that if you could recognize, “Somebody ought to do such-and-such,” then you ought to do such-and-such, because we are answerable to God not just for our actions, but also for our inaction. This was because God, in Bonhoeffer’s understanding, accomplishes his purposes through the free acts of human moral agents. He therefore took seriously what the book of James says: “Anyone who knows the right thing to do and fails to do it, commits sin.” He saw too many German Christians effectively giving Hitler a free hand by appeal to “obeying the law” or “submitting to authorities,” when they ought to have been resisting oppression and protecting the weak. According to Bonhoeffer’s ethics, it was better to act on your beliefs and convictions and be prepared to answer to God for your actions than it was not to act out of fear of doing something wrong. I believe this is one reason why he’s such a fascinating and inspiring character. I think our takeaway needs to be, however, that anyone who’s prepared to act as boldly as he did should also be prepared to reflect as carefully as he did, in community, about ethical actions, both generally and specifically. This was not a simple matter of “I think God is telling me to kill Hitler.” It was a meticulously deliberated decision, made in the context of a close community of committed believers in his own day, in the larger context of Christian moral and ethical reflection over the centuries. The fact that the jury is still out on this decision shows how difficult and complicated it was, and therefore what moral courage it took for him to act upon it and be prepared to answer to God for his actions (not to mention answering to the verdict of history, which I guess we’re working on here). Your ultimate question is too large for me to address in a single blog post: “What biblical basis is there for one human intentionally taking the life of another?” But I hope I’ve sketched out the beginnings of an approach to that question, at least. Author Christopher R SmithPosted on July 16, 2017 January 20, 2018 Categories Justice/Fairness of God3 Comments on Was Dietrich Bonhoeffer justified in joining the plot to kill Hitler? Is Jesus insulting the Canaanite woman by calling her a “dog”? Q. I read the story of Jesus and the Canaanite woman the other day and I have no idea what Jesus is talking about in the parable when he references crumbs and dogs eating the crumbs. Can you shed some light on this passage? This story is confusing and sometimes upsetting to readers of the gospels because it appears that Jesus is not only rebuffing someone who comes to him for help, he’s actually insulting her in the process. So Jesus seems to have a very callous and insulting attitude. However, I think something different is actually going on here. The woman, however, comes up with what I think is an original saying of her own in response: “Yes, but even the dogs eat the crumbs that fall from their masters’ table.” Jesus responds, in effect, “You’ve got me there,” and he heals her daughter. But this was not merely a battle of wits that the woman won by her cleverness and quick thinking. Rather, I believe Jesus evaluated every situation he encountered in order to discern how God might be at work in it. In the gospel of John he’s quoted as saying, “The Son can do nothing of his own accord, but only what he sees the Father doing.” So Jesus was always on the lookout for when his Father might be doing something that he could join in with. I believe, for example, that when his mother Mary came to him at the wedding in Cana and told him that the hosts had run out of wine, while Jesus thought initially that the time hadn’t come yet for him to do “signs” in public, he ultimately recognized that Mary’s persistent and trusting faith was an indication that God was at work in the situation. And so he did his first miracle there, turning water into wine. I believe that Jesus similarly recognized the Canaanite woman’s bold request and audacious persistence as indications that God was giving her the faith to believe her daughter could be delivered if she sought help from Jesus. It was in response to that recognition, inspired by the woman’s reply to his challenge, that Jesus acted to heal the daughter, giving an advance glimpse of how his influence would soon extend beyond the borders of Israel. Author Christopher R SmithPosted on May 25, 2017 January 22, 2018 Categories Bible: Interpretation, Justice/Fairness of God2 Comments on Is Jesus insulting the Canaanite woman by calling her a “dog”? Was Judas set up to fail? Q. Here’s a Good Friday and Easter question. Jesus tells the disciples about his betrayal, “The Son of Man will go just as it is written about him. But woe to that man who betrays the Son of Man! It would be better for him if he had not been born.” If it was already determined how Jesus would die, and who would do it, was Judas set up to fail? Did Jesus mean that Judas would only have to be annihilated (like never born) instead if hell? 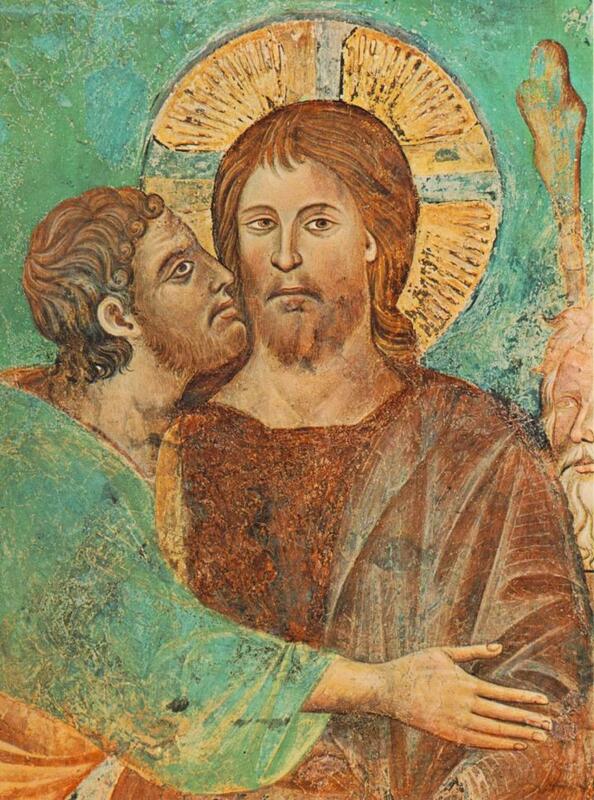 A traditional icon of Judas betraying Jesus with a kiss. Was this a set-up? 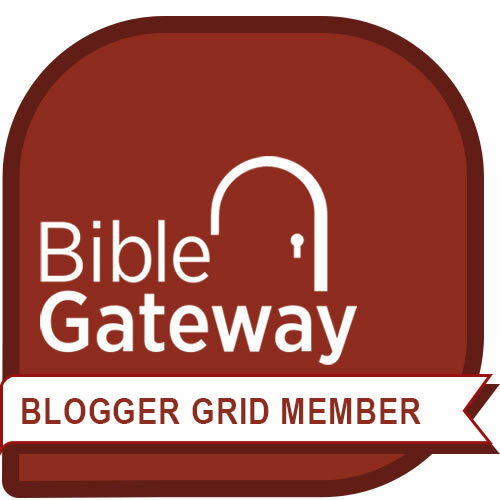 Your questions are similar to ones that some other readers of this blog have asked earlier, which is not surprising, since they are questions that will occur to thoughtful and compassionate listeners to the story of Jesus’ sufferings, death, and resurrection. A couple of years ago I did an eight-part series of posts on the question of whether Judas was doomed from the start. Had he been selected before all time, and identified in biblical prophecies, as the betrayer of Jesus? The series begins with my response to the question, “Did Jesus forgive Judas?” but it necessarily opens out into these other issues. By the end I find it necessary to ask, “Did Jesus betray Judas?” I’ll quote a bit from the opening of that post to show why that question comes up. But such a course of action is simply not consistent with the character of Jesus as it is clearly and consistently portrayed in all four gospels. I think we have to conclude instead that Jesus chose twelve disciples in good faith, all as potential true followers, but that he knew at the same time that one of them would betray him. In my series I hold out the possibility that Judas could have repented and been saved. But assuming he did not repent and was lost, was he then annihilated, as if he had “never been born”? The biblical data does not present a simple, straightforward picture of “hell” as a place of never-ending punishment for those who reject God. The picture is complicated, and readers of the Bible must understand the Hebrew and Greek terms and ideas behind our English translations in order to reach the most informed conclusion possible about this issue. My personal experience shows me that followers of Jesus who are people of good will and equally committed to the inspiration and authority of the Scriptures can come to different conclusions about whether those who ultimately reject God are annihilated or instead suffer never-ending punishment. The statement about Judas offers possible support for the former view. But as I also say at the end of my series about hell, “The Bible doesn’t tell us nearly as much as we would like about the fate of people after death. But it does tell us a great deal about the character of God, in which justice and mercy are perfectly balanced.” And I think especially in this Holy Week we can find great encouragement in the recognition that God, “in his great mercy, has given us new birth into a living hope through the resurrection of Jesus Christ from the dead.” Whatever questions may linger in our minds about some of the most complicated and uncertain matters treated in the Bible, the resurrection assures us of God’s mercy towards us and God’s desire that we live in hope, not doubt or dread. And that’s really something to celebrate! Author Christopher R SmithPosted on April 15, 2017 January 20, 2018 Categories Justice/Fairness of God1 Comment on Was Judas set up to fail? Author Christopher R SmithPosted on March 11, 2017 October 9, 2018 Categories Justice/Fairness of God4 Comments on How could God use a man and not save him? Author Christopher R SmithPosted on October 3, 2016 January 20, 2018 Categories Justice/Fairness of God5 Comments on Did the Israelites really massacre the Canaanites, and if so, was this really at God’s command? Q. Why, in the Old Testament, did Miriam become leprous for speaking against her brother Aaron? 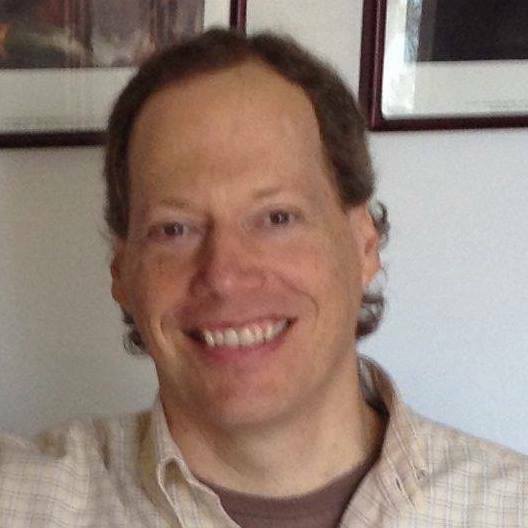 Author Christopher R SmithPosted on September 28, 2016 January 20, 2018 Categories Justice/Fairness of GodLeave a comment on Why did Miriam become leprous?